Stately 2+ story home in amazing location on King's Highway near Lake Harriet. Classic touches include wood burning fireplace, leaded windows, built-in buffet and open staircase. Updates include newer boiler (2016) central vacuum system, second floor full bathroom and kitchen with plenty of custom cabinets and counter space. The third-floor master suite was completed in 1987 has a full bath and bountiful closets. Second floor provides 3 BRs + an office, convenient half bath on main floor. Directions: From I-35W, take exit 13 for 46th St/2nd Ave S. Head West on 46th, turn rt onto Dupont Ave S, home will be on the rt. I was searching for a Property and found this listing (MLS #5012038). I would like to schedule a showing for 4517 Dupont Avenue S Minneapolis, MN 55419. Thank you! I was searching for a Property and found this listing (MLS #5012038). Please send me more information regarding 4517 Dupont Avenue S Minneapolis, MN 55419. Thank you! 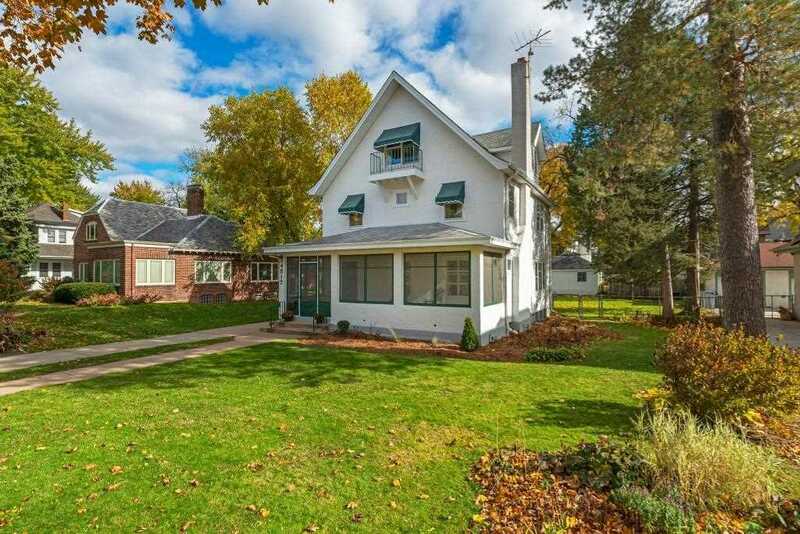 MLS® 5012038: This property at 4517 Dupont Avenue S, Minneapolis, MN 55419 is located in the East Harriet subdivision and is listed for $547,200. MLS® 5012038 has been on the market for 100 days.